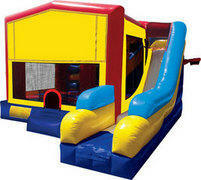 Basic Combo Bounce House Rentals offered by Let's Jump party rentals. 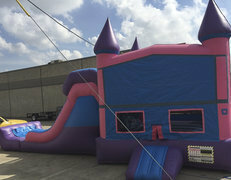 Lets Jump Rentals has been providing the greater Dallas Fort Worth area with best in Combo Bounce House rentals for years. 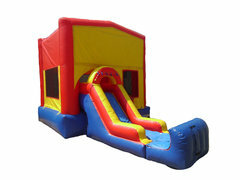 Here you'll find the most exciting themes, features, colors, sure to meet any great party planners requirements. 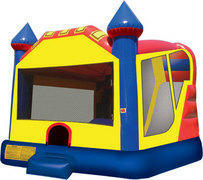 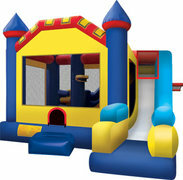 Combo Bounce houses come in all sizes and shapes and can even be themed to fit your special event. 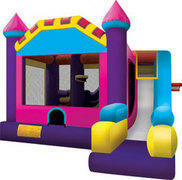 Browse the rentals below and click on the image or title to get more information.